Join us in the fight against cybercrime in our weekly podcast with industry thought leaders. 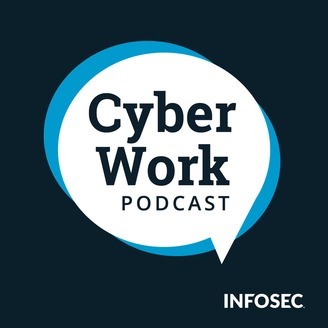 On this episode of the Infosec Cyberspeak podcast, Liz Mann, head of the Life Sciences and Health sectors, Americas Cybersecurity, EY Advisory, discusses her role at EY, the importance of diverse perspectives around risk management, and her work encouraging young women to enter the cybersecurity workforce. In the podcast, Mann and host Chris Sienko discuss: - When did you first get interested in computers and security? (1:35) - What does your work as EY Americas Health and Life Sciences Cybersecurity Leader entail? (4:05) - What is a common work day like at EY Advisory? (5:50) - How does your approach to cybersecurity differ from common strategies used by others? (8:20) - Can you give an example of a time when you changed a method used by an organization? (10:30) - What are your strategies for giving each risk the appropriate time and energy? (12:35) - What has been your experience as a woman in the cybersecurity field? (16:40) - How many young women do you mentor and sponsor? (22:40) - Can you tell us about the Executive Women's Forum (EWF)'s Board of Advisors? (25:10) - What are effective strategies to bring more diverse candidates into cybersecurity? (28:40) - What tips would you give to candidates who are entering the filed with unconventional backgrounds? (36:40) Additional Resources Join us in the fight against cybercrime: https://www.infosecinstitute.com Special offer for Infosec Cyberspeak listeners: https://www.infosecinstitute.com/podcast Check out Infosec's scholarship program: https://www.infosecinstitute.com/scholarship About Infosec Cyberspeak Podcast Knowledge is your best defense against cybercrime. 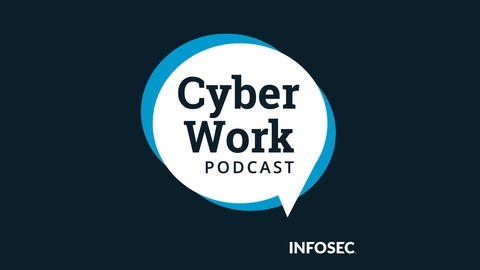 Each week on Infosec Cyberspeak, industry thought leaders and host Chris Sienko arm you with the latest security awareness and education best practices. Together we’ll empower everyone with the knowledge to stay one step ahead of the bad guys.